Weston is bursting with events over the coming weeks. The annual Ward 11 Environment Day will be this weekend at the Farmers’ Market. You can pick up free compost and drop off hazardous waste. 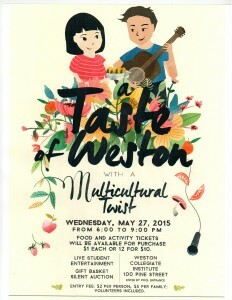 Weston CI will be having its 10th annual “Taste Weston (with a multicultural twist)” festival on Wednesday, May 27, from 6 pm to 9. It’s a cheap thrill: $2 to enter, with food and activity tickets for $1 each. There will be entertainment, a silent auction, and gift baskets. Tare Egbedi is starting an urban intervention as part of the 100in1day movement. 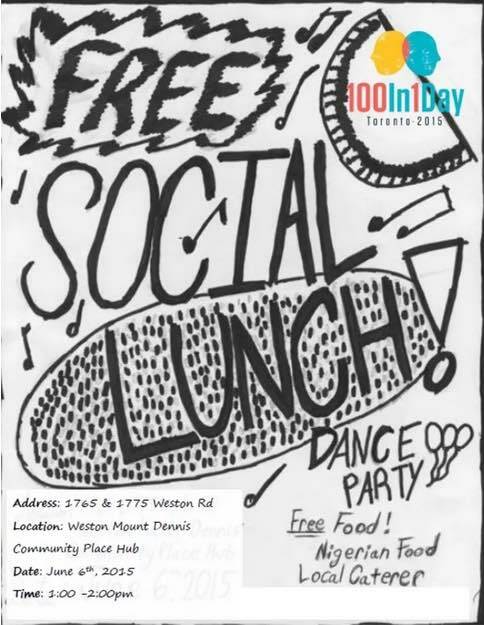 She is having a free social lunch and dance party to celebrate local caterers and small business people. The lunch will be June 6 at 1 in the afternoon. You can meet your politicians on May 28, at 6 pm in Mount Dennis. 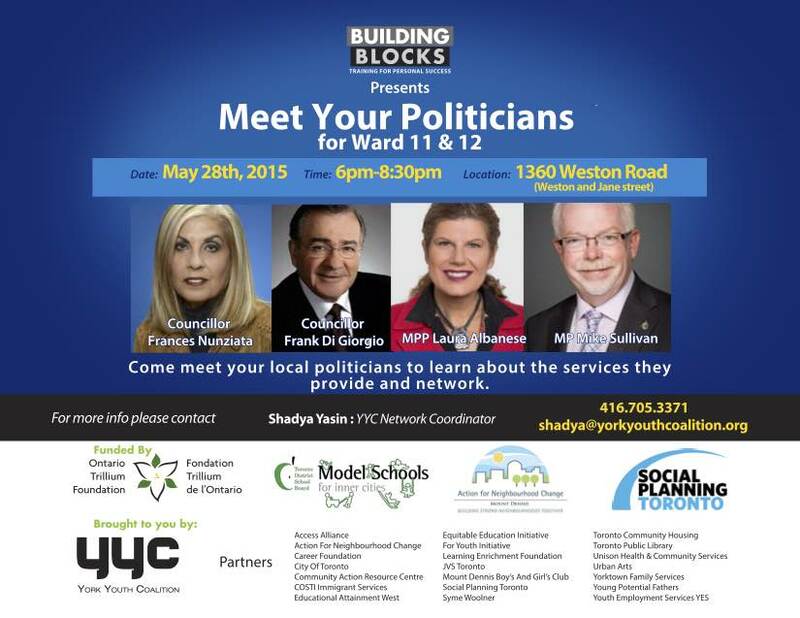 Frances Nunziata, Laura Albanese, and Mike Sullivan will be on hand to explain their services. They need to put in term limits for City politicians.